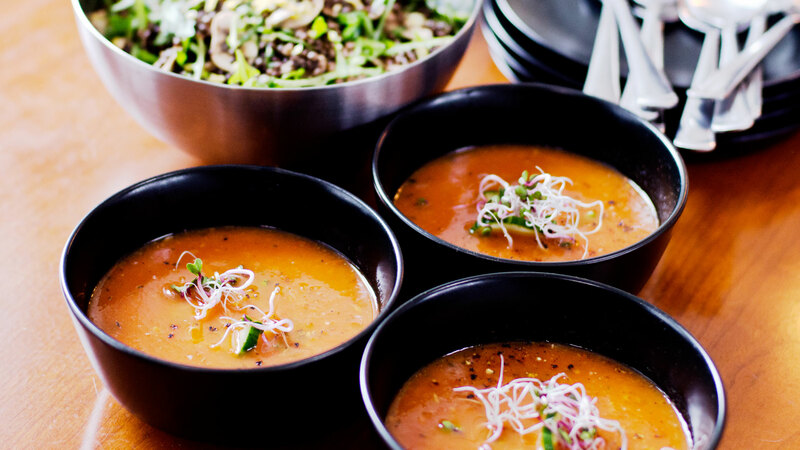 With summer heat waves coming in, cool yourself down with this fresh soup. Gazpacho is normally completely raw, but I like to sweat the garlic and onions a bit first, to add extra flavour and help with digestion. 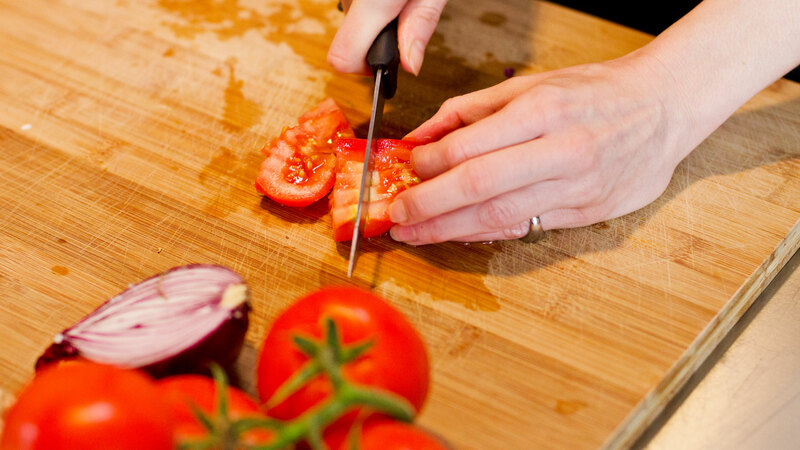 When tomatoes are in season, you can really taste the difference. Roughly chop garlic, onion, chili and ginger and add it to the pot, along with the tablespoon of coconut oil. Allow those ingredients to sweat slowly at a low heat for 10 minutes. It’s important here not to fry the ingredients. 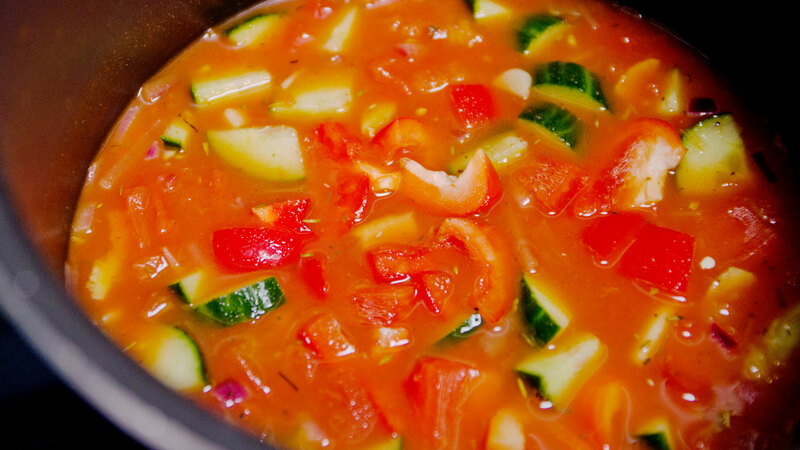 Roughly chop the fresh tomatoes and cucumber, add them to the pot, stir, and allow to simmer together briefly. Add the canned tomatoes and a splash of apple cider vinegar, season as you wish (salt, pepper and a dash of olive oil). Turn the heat off and allow the soup to cool. Purée the soup until its texture is a creamy pulp and squeeze the juice of 1 lime into the soup. Serve in bowls and top with a slice of cucumber and some sprouted seeds if you like.